THE management of the EPO has been getting away with a lot of malicious activities. Almost nobody stepped down, except the spokesperson apparently (that was last year). There is brain drain among patent examiners; there can’t be brain drain in management because one must suppose that there are brains in the management to begin with (not just a bunch of people with glorified business degrees). 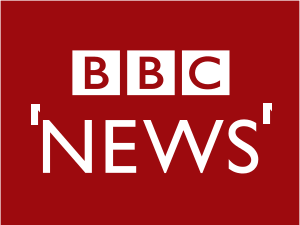 “We now cautiously suspect self-censorship, maybe as part of the EPO’s media manipulation or BBC editorial policy (remember that Bill Gates repeatedly paid huge amounts of money to the BBC and this article directly implicates Microsoft).”For almost a week now we have been waiting for the BBC to publish an article, towards which we provided comments/input/documents (my lawyer did too). Based on what I was told, it was nearly ready for publication and a lot of work had been put into/invested behind it. We now cautiously suspect self-censorship, maybe as part of the EPO's media manipulation or BBC editorial policy (remember that Bill Gates repeatedly paid huge amounts of money to the BBC and this article directly implicates Microsoft). We already have a leaked document about nearly $1,000,000 spent in just one year by a US company (contracted by the EPO) for EPO media presence, whatever that means. “One hypothesis we have is that the BBC approached the EPO for comment and the EPO’s media strategy worked (a campaign to keep the media quiet and never critical of the EPO).”For no apparent reason, the reporter who approached us (we never approached the BBC) is suddenly stonewalling. We just wonder if someone at the BBC has been suppressing publication of this article about the EPO. From actually approaching me (to comment on an article already in progress), the reporter/s suddenly went into a deafening silence. Several days later we wrote regarding the status of the piece (polite queries on updates) but received nothing but silence in return.